How was your week? Was your weather as wet and wild as ours? I hope the weekend has packed some sunshine in it’s suitcase! You won’t believe this but my mum is back in hospital. I can’t believe it and mum can’t believe it either. I can’t wait to get to the UK in a few weeks but at the same time I’m trying not to wish my life away. Just like that one time I learned important life lessons from a cucumber sandwich, I’m trying to appreciate that this moment is the moment I’ve been waiting for. When I was sick, my psychologist suggested I read Viktor Frankl’s Man’s Search for Meaning. Have you read it? All the pennies dropped for me when I read it, as it did with this post, why a meaningful life is the best route to happiness. As a born worrier, I love these 49 phrases to calm an anxious child, I’ve tried and tested some of these myself and they totally work on anxious grown ups too. If you have something to celebrate and you’re going to party, I couldn’t think of a cleverer way to invite your guests than with this balloon invite with free printable. It’s sure to make your party pop! Talking of celebrations, not only is today April Fool’s Day but it’s also National Sourdough Bread Day. I love eating sourdough bread, but I’ve never made my own although I’ve always wanted to. Let’s think out of the box a bit here, shall we? How about some sourdough waffles, sourdough bagels, sourdough doughnuts and if like me, you’re a sourdough beginner, here’s how to get started with a DIY spelt loaf. I’m not really an April Fool’s Day person but these 31 April Fool’s Day pranks kids will totally fall for had me laughing out loud. So much goody goodness around the interwebs this week. This story about the Ambulance Foundation in the Netherlands made my eyes leak and gave me goosebumps. Positive end of life experiences are too important to pass up and these pictures of terminally ill people living out their final wishes will warm the cockles of your heart. If goosebumps are your jam and being inspired is your bag, Kate’s story, Chasing Daylight is going to give you the warm and fuzzies. And maybe something in your eye too. Talking about wishes coming true, 2017 is going to be the Year of My Dog and I’m keen to adopt not shop. Getting prepared reading all things doggy, I’m totally pinning these puppy training tips that work. I might try them out on Calvin when I’m in the mother country, I wonder if you really can teach an old dog new tricks! 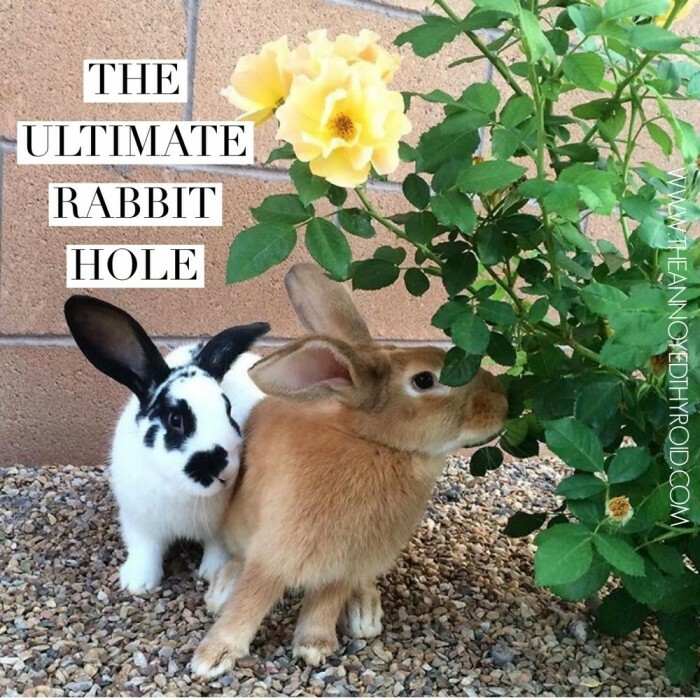 Of course, it’s not a bunny hole without a doggy tale (or should I say doggy tail?) I haven’t counted exactly but I’m sure I follow almost as many dogs as people on Instagram. If you want to follow along with our furry friends, here are some of my favourite dogs to follow on Instagram and let’s not forget my friend, Mochi. 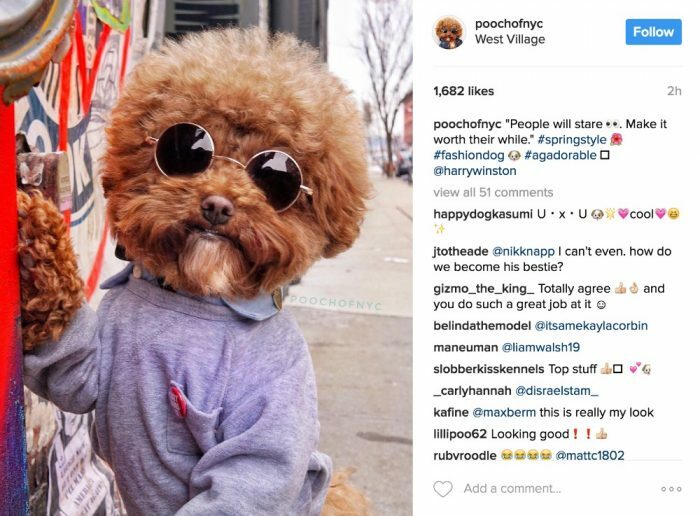 And that’s not all, here are more Instagram Dogs to add to the list. I just can’t get enough of Agador, @poochofnyc. If he doesn’t make your Saturday cuter, I don’t know what will! What’s happening in your world this weekend? Have you played or been on the receiving end of any April Fool’s? Do you love sourdough too? Have you ever made your own bread? Know of any other dogs I can follow? Tell me all the things!